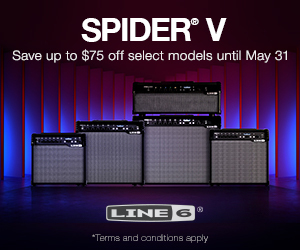 We here at TheToneKing.com hope you got all the cool stuff that littered your wish list this holiday season. But for many of this, the season isn’t quite over yet. There are gift cards to burn and end-of-year sales to be had, so it’s perfectly appropriate to continue our tradition of providing you a list to help load up your gear locker. But we’re going to take a slightly different spin on the concept this time around. For this piece, we’re going to shape our list around the gigging musician. The guys and gals that play the modest venues, hauling their gear in the old Family Truckster, doing it out of the love music and hopefully grabbing a couple of bucks on the side. Maybe you’re playing for the fun and the love of it, or maybe you’re working towards bigger stages and brighter lights. Either way, playing for others is one of the greatest joys and there’s lots of great gear out there that can help you put on the best show possible. So let’s build that killer, compact rig to that will help you turn Harry’s Pool Hall into Madison Square Garden. Even on the smallest of stages, attitude is everything. A custom guitar is not only a great way to catch the audience’s attention, but also inspire your stage show. Even the smallest, hometown crowd deserves the best show you can give them! It’s no secret we love Acacia guitars; they are true standouts in the quickly growing market of accessible custom guitars. The Acacia Pro Series gives players the ability to mix and match colors, finishes, neck profiles, body shapes, and pickups from an extensive list or you can go full rockstar custom, with insanely figured woods and smoking’ contemporary styling. They’re such irresistible instruments that even TTK can’t keep his Acacia G.A.S. in check. Much like a fully bespoke custom guitar, a PRS guitar used to be a premium-priced instrument. PRS is still delivering insanely beautiful, wonderfully crafted heirloom-worthy instruments, but they’ve also opened up the line to instruments that provide amazing quality at mind-blowing prices. A PRS guitar can handle pretty much anything you throw at it, and players from every genre, be it fusion, country, rock, and metal are strapping on these now icon instruments. The Tone Lounge recently welcomed a PRS SE Custom 22 and SE Custom 24 to the fold, two models that look and play like guitars four or five times their value. 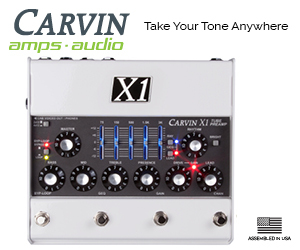 Good looks, great tones, what’s not to like? Peavey’s compact head line continues to deliver the goods; for those seeking a compact tube head, there may be no better value out there. These are the ultimate in portable tube tone, with the right amount of power to fill a room nicely. Want a massive-sounding amp that you can throw in your gig bag? The 6505 Piranha, much like it’s animal namesake, packs a huge chomp in a tiny package. A ton of easily accessible tonal options. A portable, flexible package. More than enough power to keep up with the room or an overzealous drummer. The Spider V line delivers on all fronts. If you’ve shied away from modeling amps in the past, it’s definitely worth your while to get acquainted with this killer new amp from the company that practically started it all. There are so many great pedals we can talk about here, but we’ll give the nod to long-time TheToneKing.com friend James Brown and his super-versatile Amptweaker line. If you found yourself in a gigging situation where you were sharing a backline, the tweakability in the Amptweaker pedal line will help make sure your tone stays true to you, no matter what gear you’re plugging into. And now, Ampwtweaker is delivering this versatility in the smaller Amptweaker Jr. line, to help you get the most bang for your pedalboard buck. Allow this writer to speak from experience: for the gigging musician, a high-quality, durable cable is worth it’s weight in gold. It is a total heartbreaker to spend time tweaking your tone and setting up your instrument, only to watch it all go down the drain due to a bum cable. 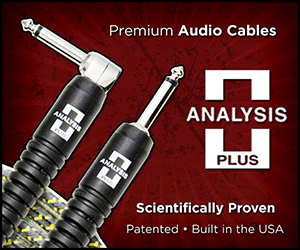 If you’re hooking up with Analysis Plus cables, you can throw those worries out the window. More than just durable, bulletproof cables, Analysis Plus builds cables using sophisticated computer modeling to design a hollow oval cable structure, which lowers resistance and improves sound quality. No doubt about it, an Analysis Plus cable will cost a little bit more than your standard music store fare. But it’s literally a critical link between all the components of your rig. This writer (who has killed a few cables in his time) has used Analysis Plus instrument and speaker cables on a few small gigs and they have performed admirably. We here at TheToneKing.com have enjoyed this slightly different take on the typical list of cool stuff, and would love to hear if anything we discussed here made it into your shopping cart. We’d also like to hear from our own merry band of hardworking musicians keeping the pubs and pool halls humming with great music. What’s your rig of choice? Let us know in the comments!